During early 1999, a series of vacuum brake driver refresher specials took place along the Berks & Hants line, using either a Class 31 or 37 locomotive. Unfortunately when ever I went out for it the weather was usually poor. 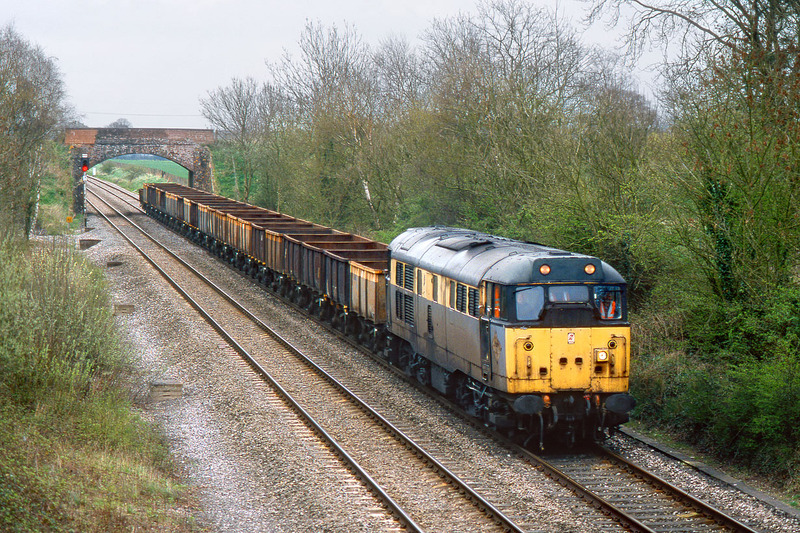 On 9 April 1999 it was the turn of 31203, and it is seen here passing the site of Patney & Chirton station (closed in 1966) with the 09:57 West Drayton to West Drayton (via Westbury). At least one of the drivers in the cab appreciated being photographed, as there was a fanfare of horns as it passed me!